A research team at the department of Materials Science and Engineering in the University of Texas at Arlington has published a very interesting paper in the world renown journal, Nature. 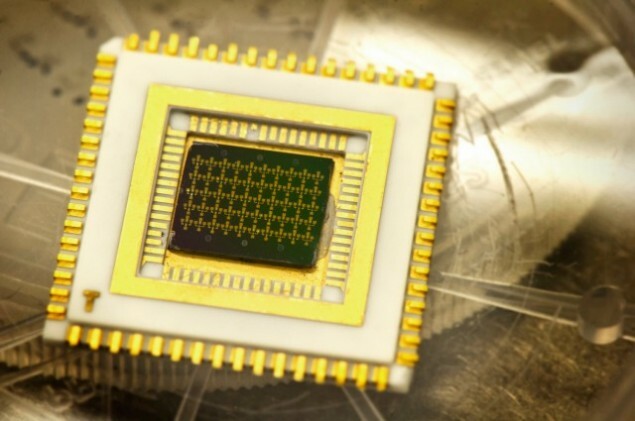 The team successfully created a chip that cools itself down to -228C at room temperature. No liquid Nitrogen or Helium was used or any sort of external cooling measure. This works by building quantum wells into the chip itself. These wells work as filters that only allow extremely cool electrons to pass through them. This means that engineers can build transistors that operate under exceptionally low temperatures. Quantum wells can be summarized as tiny gaps between two semiconductors, Silicon in this instance. Only electrons with very specific characteristics would hit this filter and pass through it while all other electrons would bounce back. “We are the first to effectively cool electrons at room temperature. Researchers have done electron cooling before, but only when the entire device is immersed into an extremely cold cooling bath” said Seong Jin Koh who led the research effort. As a proof of concept the team built single-electron transistors. This type of transistor is extremely efficient and requires exceptionally low temperatures to function which is why it’s usually cooled with liquid Helium. But the research team demonstrated the functionality of a bunch of these transistors on a chip they’ve built (pictured above). Proving that indeed the chip is running at -228C without any external cooling measure. Not long ago we reported on the new overclocking world record achieved by The Stilt. Who managed to overclock an AMD FX 8370 eight core processor to 8.7Ghz using Liquid nitrogen. With crygenic self cooling chips we’re looking at a future where 8.7Ghz becomes the norm. We’d perhaps be able to buy processors that operate at even higher clock speeds right out o the box all the while consuming significantly lower power and not requiring any sort of cooling. Perhaps the challenge will become isolation and protection against condensation rather than heat and dust accumulation.